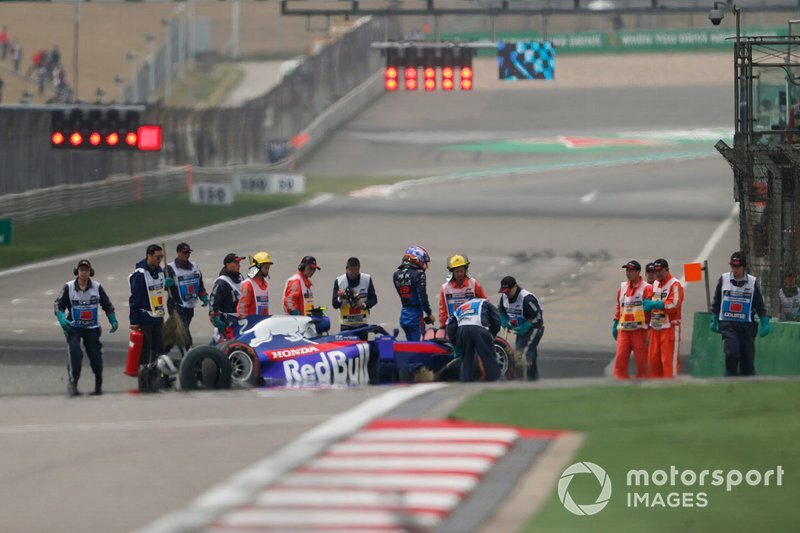 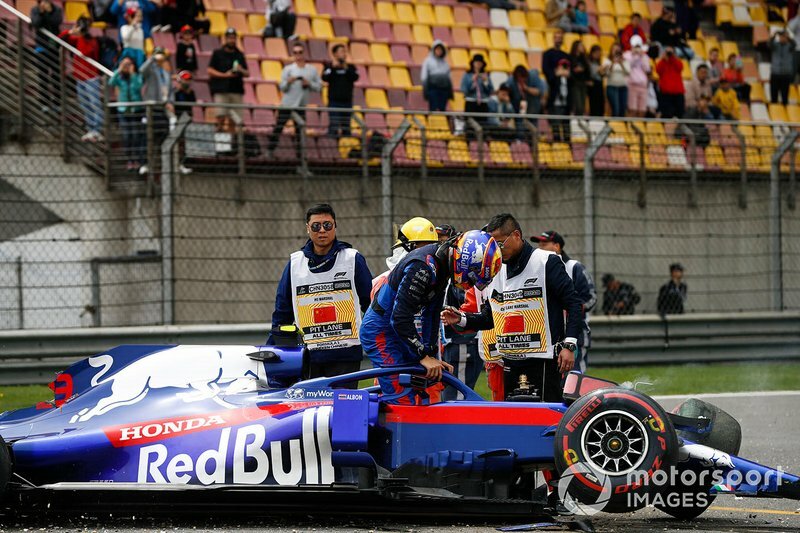 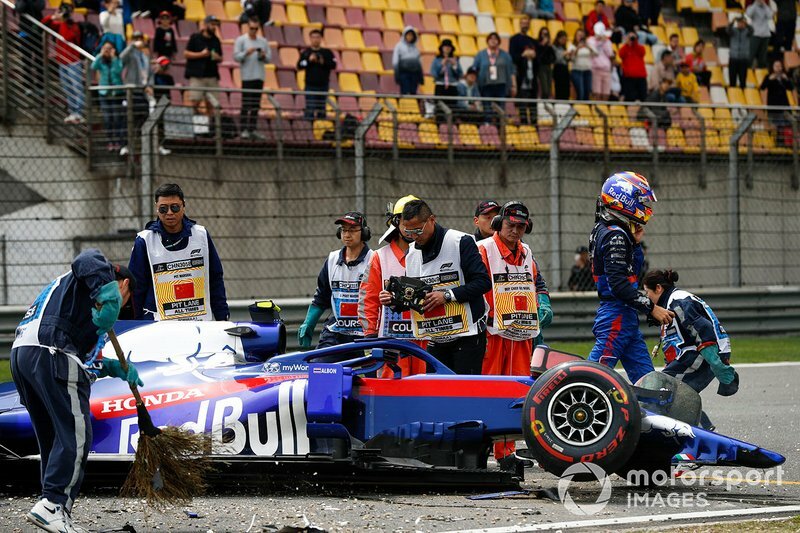 Toro Rosso driver Alexander Albon will miss qualifying for Formula 1's Chinese Grand Prix after crashing his STR14 in final practice. 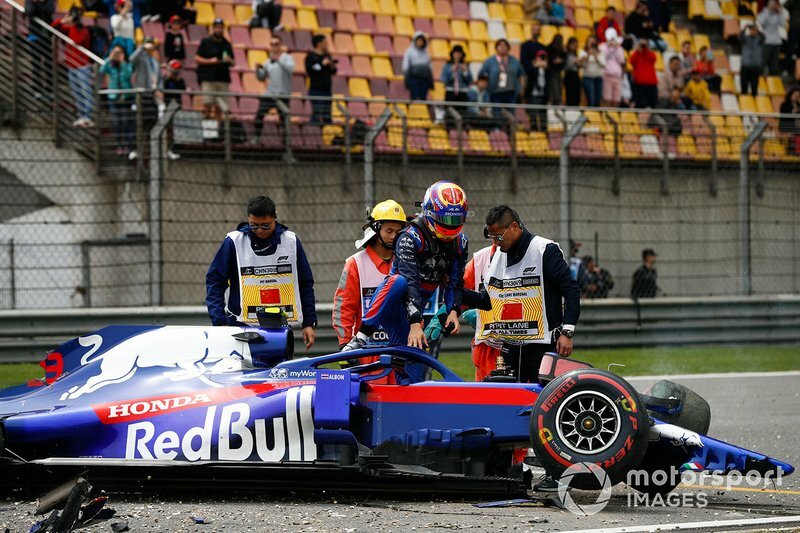 It was Albon’s second crash of the season after his FP1 shunt in Australia, and his team boss Franz Tost has urged him to put it behind him and learn a lesson from it. 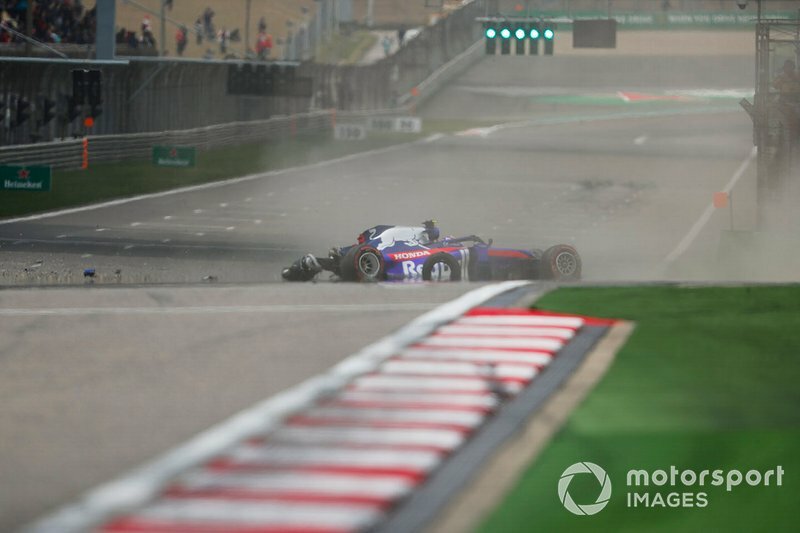 Albon ran wide at the exit of the final corner and had a heavy impact with the barrier on the right, badly damaging the left-hand side of the car and triggering a red flag that ended the session prematurely. 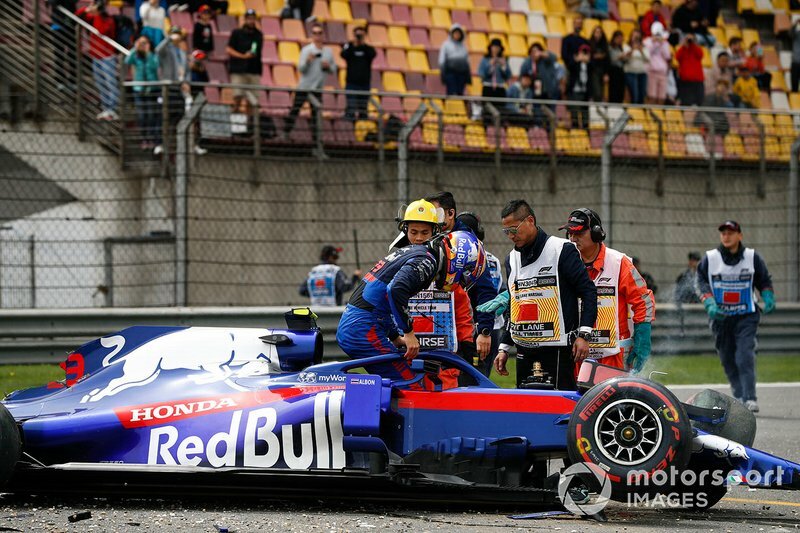 With the chassis sustaining critical damage, under the rules it’s not possible to use a replacement on the same day, even if there was enough time to build it up. 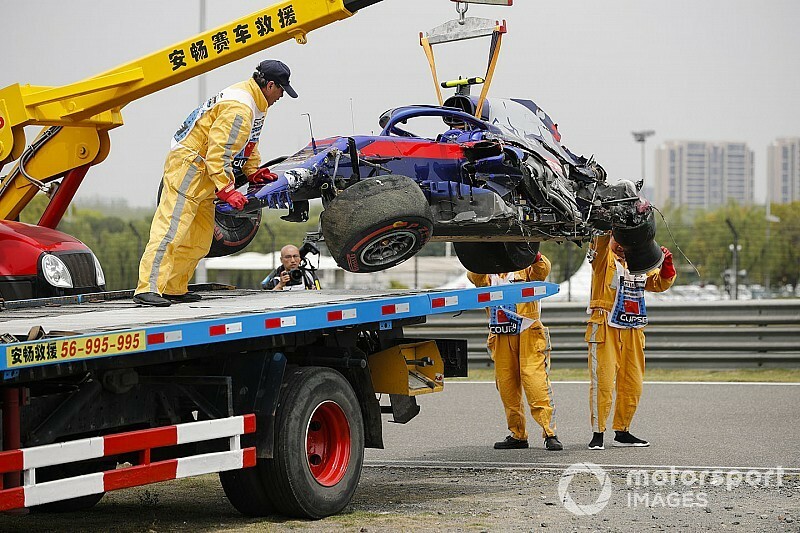 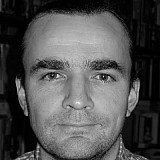 “I’ve just talked to him and everything is fine,” Tost told Motorsport.com. 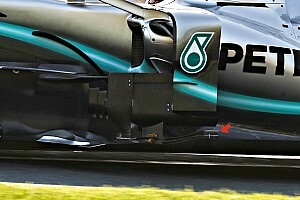 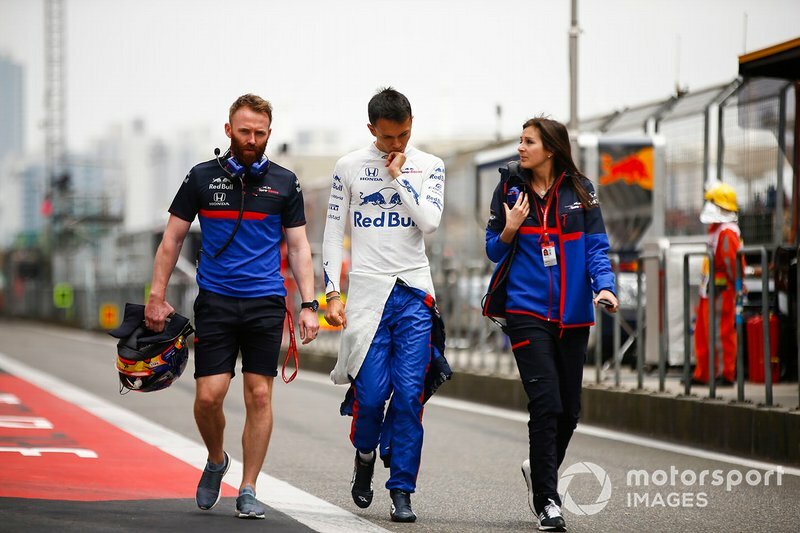 “He cannot take part in qualifying because we investigated the monocoque, and it’s damaged, and this is not possible. 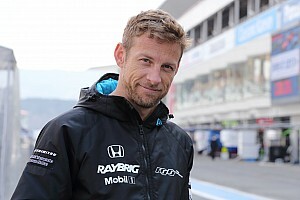 “It’s part of the learning process. 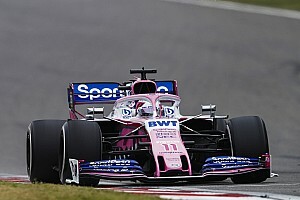 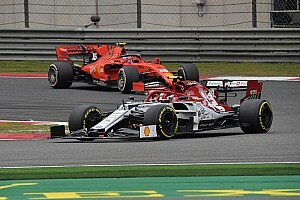 He was so fast in the first run this morning, and also at the end he would have been in the first 10 because in sector one he was 0.2s faster than on his previous run with the new tyres, and he was quick in sector two. 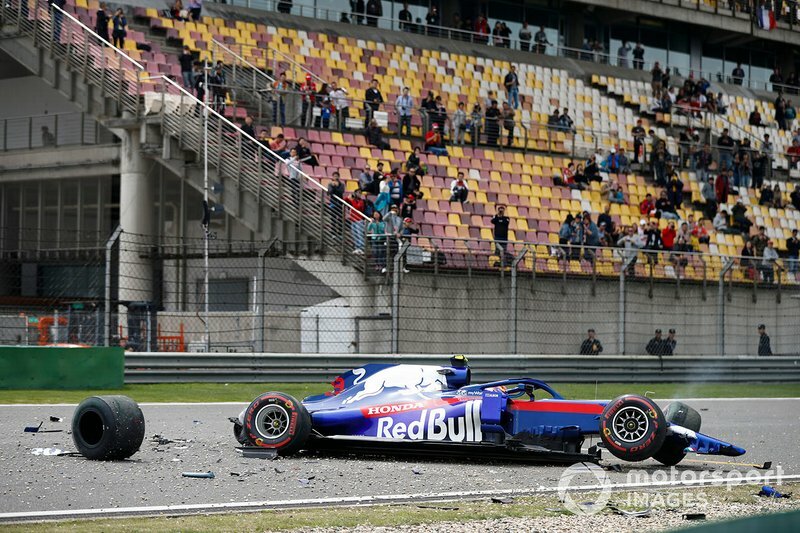 OK, in sector three he crashed. 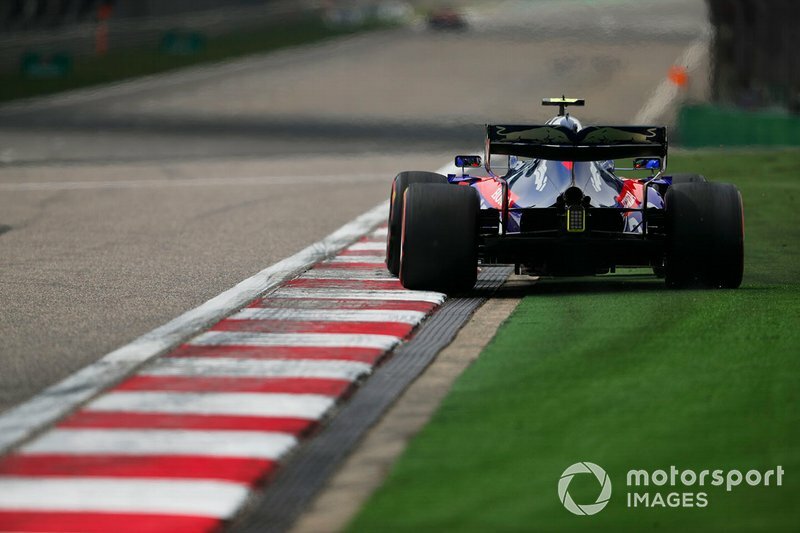 “But the most important thing is he is fast. 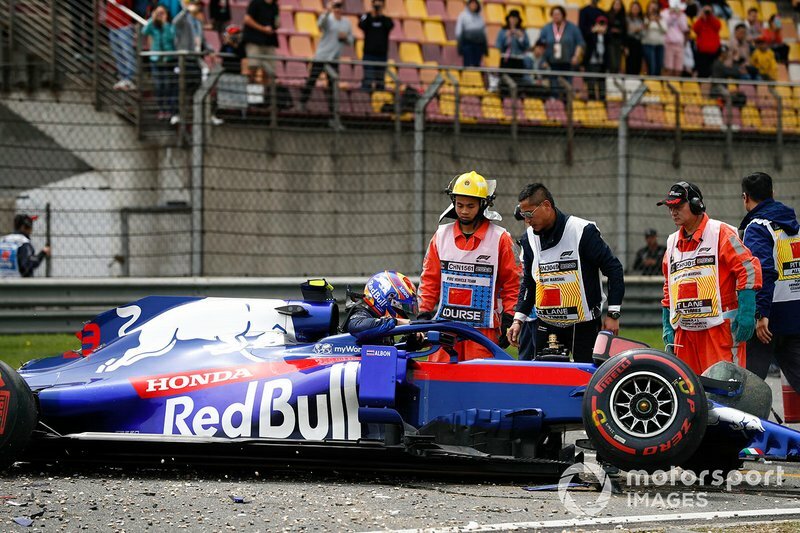 He knows why he crashed, and that’s important. 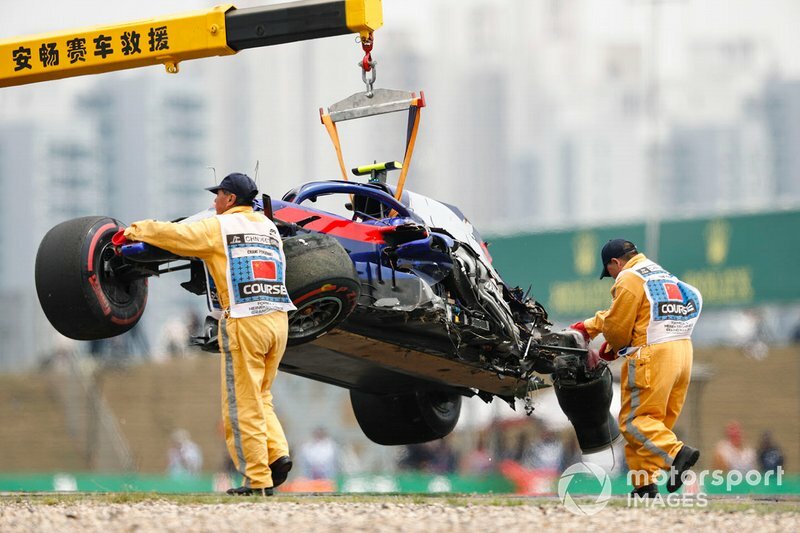 It’s a lesson to learn, and that’s how it works. 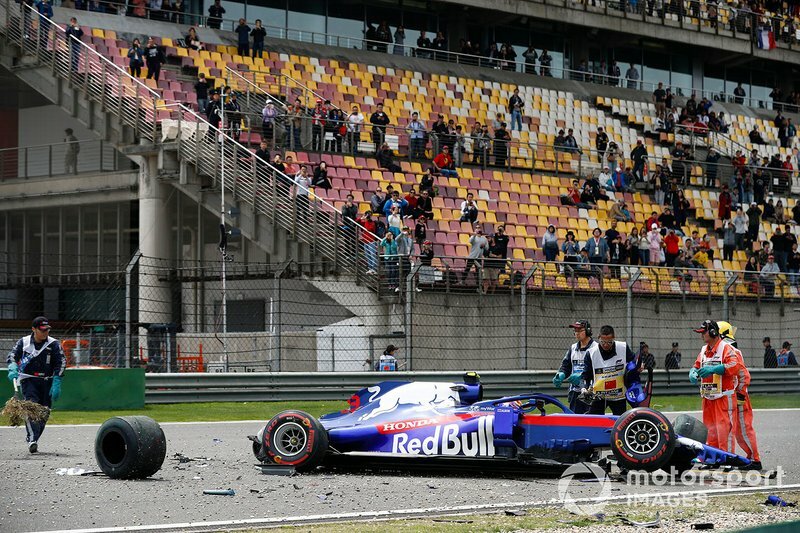 Albon’s teammate Daniil Kvyat is already on his second engine of the season after an issue in FP1, but Tost said the original unit may yet stay in the pool: “We have to find out. 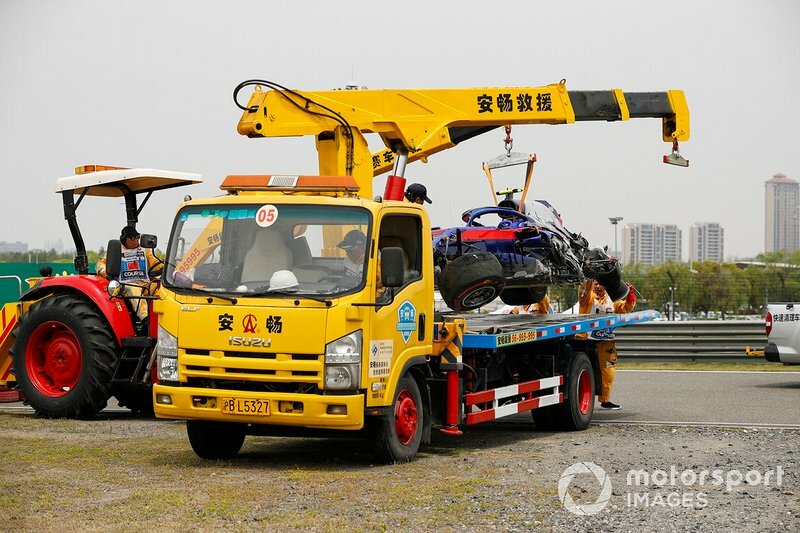 This was more of a precaution because we didn’t want to risk anything.